Kenneth D. Forbus is the Walter P. Murphy Professor of Computer Science and Professor of Education at Northwestern University. He received his degrees from MIT (Ph.D. in 1984). His research interests include qualitative reasoning, analogical reasoning and learning, spatial reasoning, sketch understanding, natural language understanding, cognitive architecture, reasoning system design, intelligent educational software, and the use of AI in interactive entertainment. He is a Fellow of the Association for the Advancement of Artificial Intelligence, the Cognitive Science Society, and the Association for Computing Machinery. 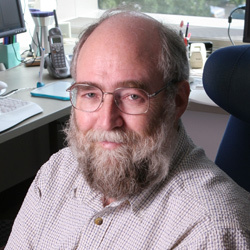 He has received Humboldt Award, has served as Chair of the Cognitive Science Society and was the inaugural winner of the Herbert A. Simon Prize for Advances in Cognitive Systems.